Event Review – The Cannonball Ultra Day & Night. Last Saturday, 8th March, we were very honoured to be able to welcome such pedigree as Ultra Runner Stuart Mills to our neck of the woods to run & present to our event participants. unfortunately due to injury, Stu was unable to run but a good group headed out and enjoyed 25 miles running in the amazing West Yorkshire countryside. 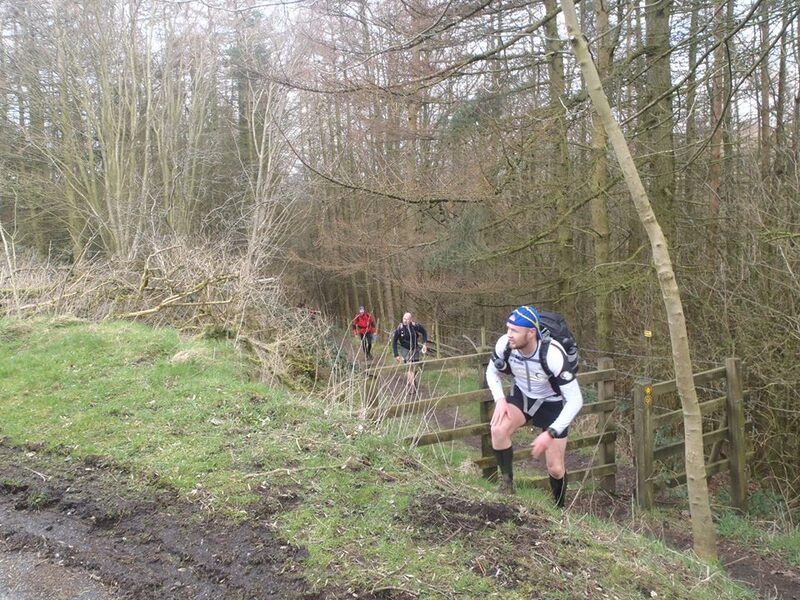 Taking in a good section of the Calderdale Way Ultra we hope those that ran got a good flavour of what was in store come June 7th when the full event takes place. Also on the run was Local runner Dave Moretta, who ran the entire route with a backpack loaded up to 20kg in preparation for his World record attempt at this months Canalathon, where he will become the first person to complete a 50km Ultra Run whilst laden with a backpack weighing 20lb’s for the duration. Such an epic challenge but one that the Serious Supplements fuelled athlete will relish, after his successful 18 in 18 in 2013 where he ran 18 marathons in 18 days to commemorate the loss of Lancashire soldiers during the troubles in Afghanistan. We wish you well Dave! The evening was opened by Ben Blackburn of Serious Supplements who gave everyone samples of their products followed by a well balanced and informative talk on the importance of correctly preparing your body for the rigours we subject it to. Through not only the racing, where we push it to its very limit as we strive to achieve our personal goals, but also in the relentless training routines we adopt to achieve our targets. All this tied in with the most important factor, recovery. We were talked through how strategic supplementation could be hugely beneficial to us in terms of achieving those marginal gains which can be the difference between good race & bad race. They offer a wide range of products for very good prices as they don’t adopt a mass market strategy & are really passionate about developing top quality products for athletes who are serious about improving performance. At Cannonball Events we particularly find Serious Stamina for fuelling & hydration combined with Serious Whey Protein for recovery to be a particularly effective combination. How else i can explain how it was possible to run 25 miles of the Calderdale Way on Saturday, up & down the fells to follow it up on Sunday Morning by running a new Personal Best for 10km at Trafford 10k. It was now time for the main event, no, not quite time for the pie & peas….It was time for us to re-charge our glasses & settle in for Stuart Mills. A fantastic presentation from the two time Montane Lakeland 100 winner was received by those in attendance, heavy focus being on the self belief we as runners simply have to instill in ourselves in order to successfully achieve our targets. One line which will now resonate with me is that there is no right or wrong in terms of training, miles, time, ascent etc… what is right is what YOU BELIEVE is right. If you get to that start line with the attitude of “Right, I’m ready, LETS DO THIS! !” chances are you will definately perform to a higher level than if you have a negative mindset. I will never ever stand on a start line again with doubt about my own preparation or ability, my focus will be positive, just as it was at Trafford with all these influences so fresh – it didn’t matter that i had ran on the Calderdale Way less than 24 hours earlier, i was ready & i was going to run well. We finished off with a quality Pie & Pea supper whilst Stu was happy to offer plenty of individual advice to anyone that sought it. It was a fantastic day which i’m sure those there will take with them & use the tools to great effect. I would once again like to thank Stuart for making the long trip up to see us, i just hope next time he is injury free so we can set the world to rights out their on the trails. We wish him well with his events this year as he once again tackles the epic Ultra Trail Du Mont Blanc (2015 qualifying points on offer through 2014 CDW Ultra) and Maybe a 3rd Lakeland 100 title? I know i wouldn’t bet against it! 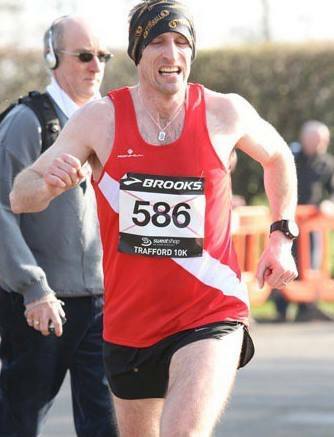 You can keep up to date with Stuarts exploits by reading his blog HERE, It’s full of lots of useful hints & tips to Improve you as an endurance athlete.